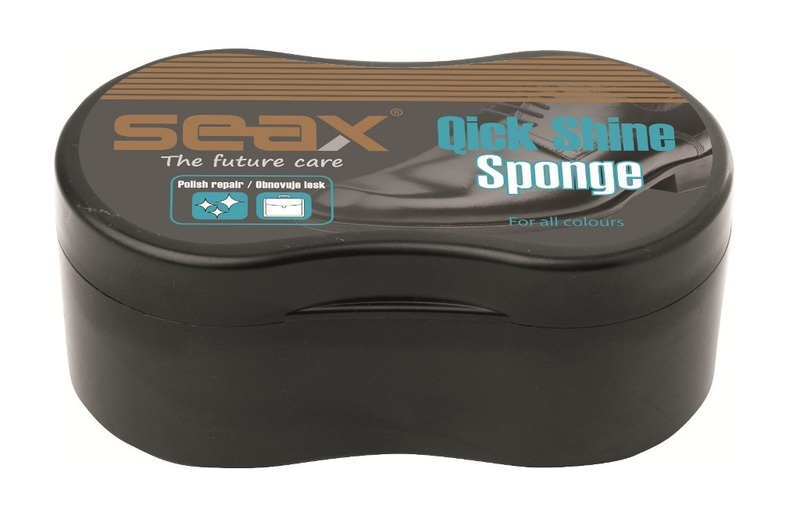 SEAX Quick shine sponge is practical sponge with gloss oil intended for immediate treatment of footwear, handbags and other products made of smooth leather, synthetics and plastics. It contains silicone oil and allows to quickly get a shiny effect without long polishing. Not suitable for skin without surface treatment.